At Falcon Drilling, our commitment to safety excellence is our highest priority. We understand that our health, safety and environmental performance is the key element for our business to be successful in meeting our client’s expectations and providing unsurpassed quality services. Our reputation and our client’s reputation depends on it. Moreover, we strongly believe that it is morally and ethically, “just the right thing to do.” We are continually building safety leaders and striving to retain a “culture” of safety so that all of our employees can go home safely every day and our environment remains unchanged. All our personnel are PEC/SafeLand trained. Our ISNetworld and PICS accounts are renewed each year and up to date to ensure our employees have the latest safety training and are knowledgeable of the best safety procedures in the oil and gas industry. Our team members are held to strict drug and alcohol policies and are empowered to create the safest working environments possible. Additionally, our team members undergo hands-on training to learn about many safety topics including working in confined spaces, personal fall protection systems, hazardous materials, fire prevention, fire extinguisher operation and safe equipment operations on both stationary and mobile machines. All team members learn about using various safety devices, equipment inspections and maintenance, position-specific responsibilities, job safety analyses and participate in pre-shift safety meetings. They are OSHA certified and AWARE certified. 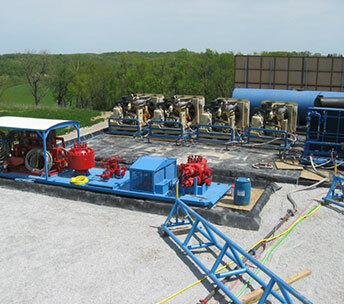 Falcon Drilling’s safety standards are above the industry standards. We strive each day to work even beyond our own high standards.